All Stars Cricket for 5 to 8 year olds will be running in May and June. Stinchcombe Stragglers Cricket Club is based at DRFC in the summer months. 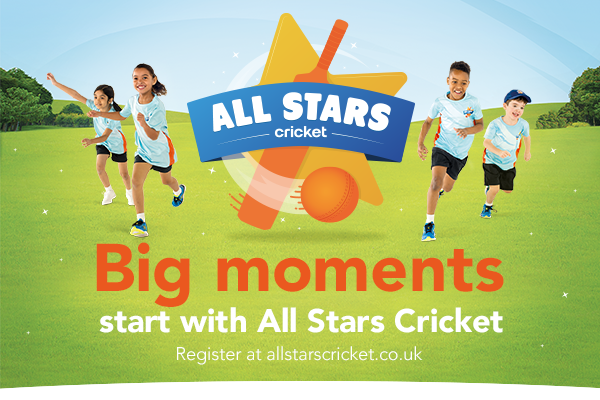 If you are looking for a summer activity for your 5 to 8 year old son or daughter at the club then All Stars Cricket could be for you. It's a national programme organised by the English Cricket Board (ECB) of 8 weekly fun cricket training sessions for boys and girls beginners between 5 and 8 years old. Stragglers is running the course this summer term on Friday evenings 6-7pm at Dursley Rugby Club's Stinchcombe ground. The first session is on 11th May and the sessions are being led by our level 2 qualified coach. The 8 week course costs £40, payable direct to the ECB and includes a personalised kit bag for each child.